With the amount of advertisers participating on Facebook’s advertising network, you just can’t take guesses anymore on what type of content you should be posting and advertising. Your cost per click, engagement, impression or lead can potentially go through the roof. Now more than ever, to be successful on social media, especially on Facebook you need an intelligent strategy that has data that can back it up. Google Analytics or GA has a slew of data that can help make intelligent decisions not just for your SEO and PPC strategy but also for Facebook and your social media strategy! That’s because the data it provides can help in tailoring the types of campaigns your audiences wants to see. For example, by closely looking at the behavior tab within GA and the sub-tab site content will give you a list of which pages your website visitors are looking at over a given period of time. Why not look to see what they are looking at and create a Facebook campaign advertising content that is utilized on pages that people are actually looking at and spending good amounts of time on. While there maybe other factors on why people are looking at certain pages of your website over others, this is a good starting point on how you can start your Facebook strategy. Besides the content that people are looking at, Google Analytics provides a lot of great data on who exactly is looking at your website. This audience information can be a great help for your Facebook ad targeting. You can find out geographical locations where your website viewers are coming from, their age, gender and even their interests. You would be surprised on who is really interested in your company and its products/services. By having this data at your fingertips can lead to much stronger and cost-effective Facebook ad campaigns that could potentially lead to new business. 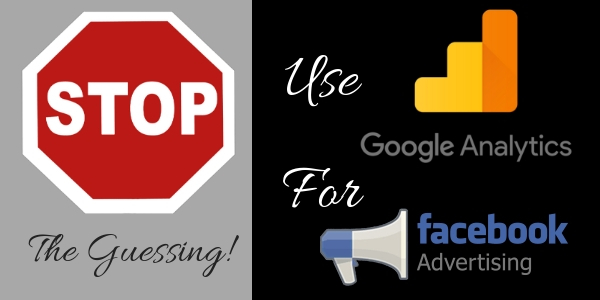 To learn more about Facebook advertising along with understanding Google Analytics and the data it provides contact The Interactive Imprint today at 954-254-1650 or visit https://theinteractiveimprint.com/.